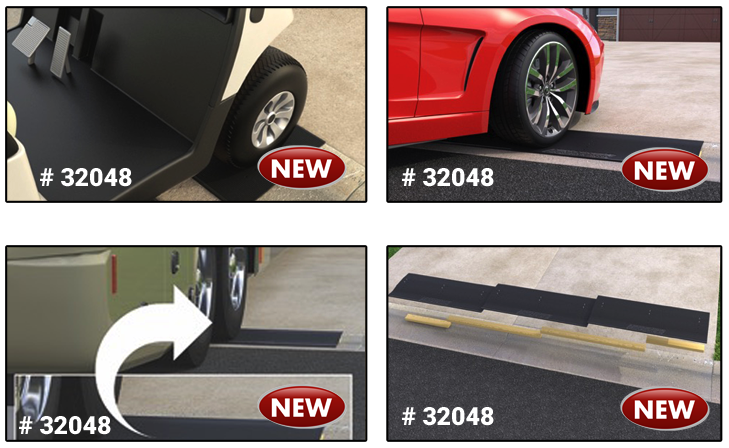 Do you have a rolled curb in the front of your driveway? 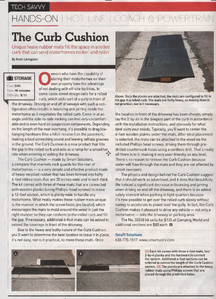 Curb Cushion is made of a heavy duty, practically indestructible, recycled rubber. Three 4 foot sections, each 20” wide, are fastened to accompanying wood planks for a 12’ x 20” span. The design still allows water to flow through and isn’t affected by street sweepers. Individual 4’ sections can be added for expanded width. The kit contains 3 sections of 4’ x 20” x 3/8” rubber ramp material, 4 wooden planks and fastening hardware. Very easy 30 minute installation.